Selina & Siu Sing from 1 Studio Team on Vimeo. 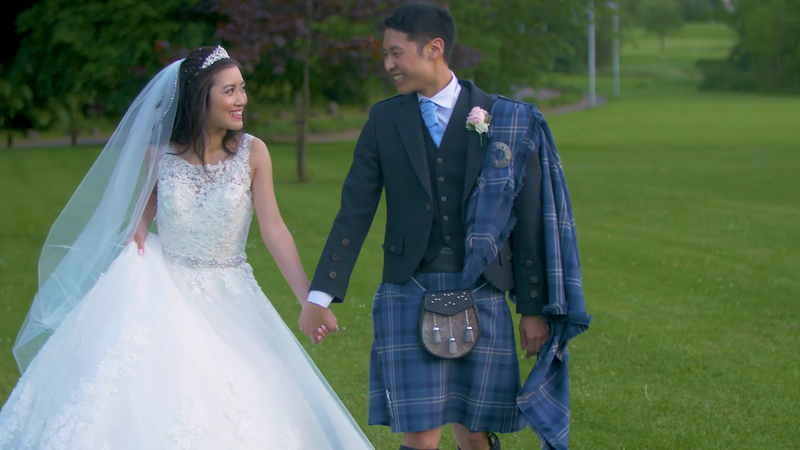 1 Studio Wedding Films had the privilege of filming Selina and Siu Sing’s truly magnificent Chinese-Scottish wedding on 30th May 2017. Our first Chinese wedding, we couldn’t wait to share in their customs and culture. The Chinese celebrations began with Chinese door games (traditionally aimed to make the Groom prove his love to his future wife) at Selina’s parents home. met at the front door by the Bridesmaids and were not permittted entry until a series of hillarious tasks had been completed! The first traditional tea ceremony was next. The tea, usually contains two lotus seeds or two red dates in each cup and is handed to the bride and grooms parents. Red envelopes were handed to the bride and groom at the end of each tea ceremony. The red colour symbolizes good luck. From there everyone set off to Balbirnie House in Fife, where the groom hosted his tea ceremony. the wedding party and evening guests danced the night away to a traditional Scottish Ceilidh.